Not only is the Jeep Wrangler the most respected SUV for the travel you want to make when you head out on the trails, it’s also one of the most capable models you can find for the driving performance and excitement you want to experience. This is the SUV you want to own in Hollywood, FL because it represents the fact that you can have the freedom you want when the weekend arrives and you’re ready to have some more fun out in the wilderness that surrounds you. On the inside, the Jeep Wrangler has changed and now has more of the qualities you want when you choose it as the vehicle that you’re going to enjoy for the fun and activity in the outdoors. Take a look at this excellent SUV when you see the team at Massey Yardley Chrysler Dodge Jeep Ram Fiat in Plantation, FL. This is where you’re going to see the new look of the Wrangler that blends the classic style with a few amazing upgrades and a rounded hood area that you’ll notice right away. Make this the SUV you want to enjoy in Hollywood, FL and you’ll be amazed by what this SUV can be for you. The standard items you’ll find when you choose to have the Jeep Wrangler you want to drive includes a host of equipment that will make sure you can have the most fun on the trails and be able to come back home when you’re done. Some of these items include a low range transfer case, 4WD, skidplates, stability control with roll mitigation, hill start assist, trailer sway control, a USB port, and an eight-speaker audio system. This can be the right model for you on the roads in Hollywood, FL to have the ride you enjoy. Moving up the lineup to some of the options that you’ll find in the Jeep Wrangler you want for the ride around Hollywood, FL. Some of these include the Power Convenience Group that makes the Wrangler a daily driver with items that include power locks, mirrors, and windows along with keyless entry. You’ll also be able to add the Cold Weather package which gives you a pair of heated front seats, an engine block heater, and a remote start system to give you what you need if you head to colder climates with your Wrangler. The Jeep Wrangler is an SUV that you recognize as one that’s fun and active on the trails and it can be the perfect choice for you to drive in the Hollywood, FL area. 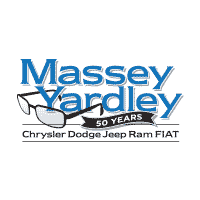 Make your way to the dealership of Massey Yardley Chrysler Dodge Jeep Ram Fiat in Plantation, FL and take a look at this impressive model that can become the one you want to drive and experience on a regular basis. This is the vehicle that allows you to have the freedom to go out and have fun on the trails whenever you want.